First time using FontStruct. Inspired by modern architecture and simplicty in building design. 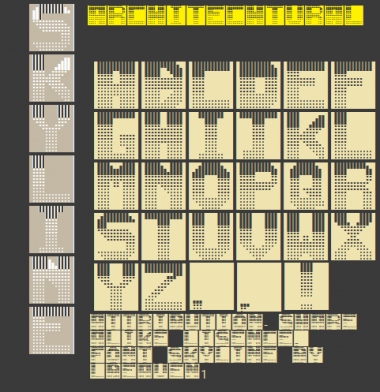 Focusing on windows, this typeface is designed to look like lit up windows in tall tower blocks, which are often associated with the classic 'city skyline'. Info: Created on 28th October 2010 . Last edited on 15th November 2010. An interesting start - welcome to FS.